The word “meeting” often elicits audible groans. Middle managers spend an estimated 35% of their time in meetings. Upper managers spend half their time in meetings. They’re a necessary evil, but they don’t have to be. 1. Identify the purpose of the meeting. The one legitimate reason for a meeting is so people can interact on a particular subject. If you’re holding the meeting just to present information, reconsider. 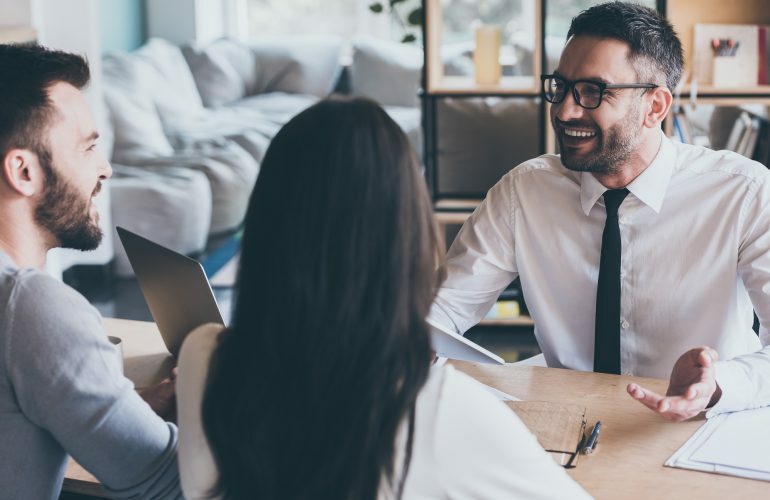 According to the Cambridge Psychological Society, people remember only 9 percent of what was said — and recall half of it inaccurately —24 hours after a meeting. Also consider if the meeting is necessary or will cost too much. There’s the direct cost of what people are paid, and the costs of tasks not tackled because people are in a meeting. 2. Create the agenda. An agenda is like a flight plan. Without it, you will go of course or get hijacked. Ideally, the agenda is created and distributed ahead of time. Each agenda item should include a title, allotted timeframe, process (i.e. presentation, then Q&A, then 20 minutes for discussion), and two even more essential items: purpose (a two-sentence statement explaining why this item is so important), and focus (what you want from the group regarding this item). Are you looking for possible negative side effects of a new policy? Ideas on how to streamline the workflow? You need both purpose and focus to keep the meeting on course. 3. Make a visual. 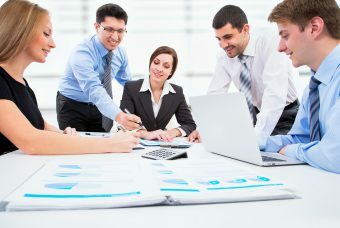 At the meeting you should have a visual device, like a whiteboard with a topic and process box to keep people focused. In the topic box, write the subject to be focused on. In the process box, write the process to be used, i.e. discussion, brainstorming, etc. Only allow people to speak to the subject, using the specified process. 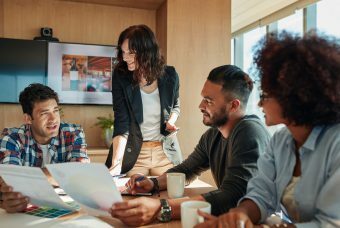 The approach will eliminate inappropriate tangents and neutralize whining and negativity — because if the current process entails looking at the “pros” of an idea, then negatives are not allowed. 4. Establish a speaking order. Without a speaking order, passive people talk too little and assertive people talk too much — and instead of listening, they’re waiting to jump in when the speaker takes a breath. During a voluntary speaking order, people raise their hand and their name is written on the whiteboard. They know when their turn is coming and can relax and listen to each other in the meantime. Better still is a pre-established circular order that goes around the room, which ensures you will hear from everyone, including the passive Yes, Maybe and Nothing people. There should always be a time limit for each time people speak. Then people fit what they have to say into that time frame, and Know-it-Alls and Think-They-Know-it-Alls can’t ramble. 5. Make a flight record to create holographic thinking. When you record what people say, whether using a flip chart or a computer projecting onto a screen, you give the speaker’s point importance and visibility over time: even minutes later, it’s still in the group’s awareness. This eliminates people feeling compelled to repeat themselves. But flight recording does more. It also gets everyone to see all points in their totality. When all factors are taken into account, the group arrives at “holographic thinking.” Ideas are more complete and solutions are more effective. Even better, there’s no personality in it, no X versus Y, only perspectives. This makes it safe for those passive Yes, Maybe and Nothing people to speak up and contribute, and forces your Whiners and No people to be specific about potential issues to be solved — since you can’t simply write “everything is wrong” on a flip chart. Your Know-it-Alls egos are satisfied since everyone sees their contribution. And the potential Tank has the biggest smile in the room — because the group moves through the agenda with no tangents or wasted time. 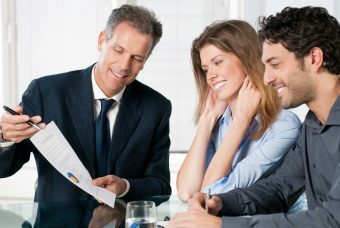 When you make sure you cover these five step, the participants will thank you for the best meeting they’ve ever had. They may even look forward to more. Dr. Rick Brinkman is a communications expert who teaches Conscious Communication® for leadership, teamwork, customer service, and effective meetings. 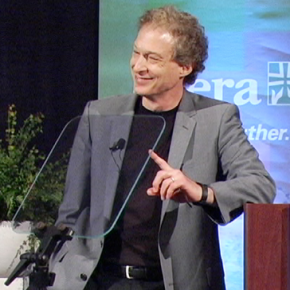 Since 1987 he’s performed more than 4,000 programs in 17 countries, sharing his insights on human behavior and strategies for practical communication. Dealing with People You Can’t Stand: How to Bring Out the Best in People at Their Worst has been translated into 25 languages. 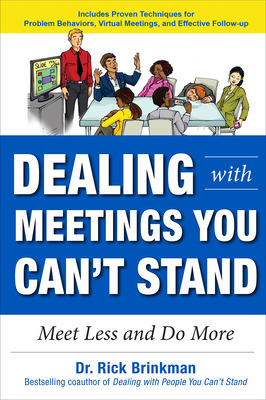 His newest book is Dealing With Meetings You Can’t Stand: Meet Less and Do More. Dr. Rick Brinkman is best known for his Conscious Communication® expertise conveyed to millions of people via keynotes and trainings, radio, television, print interviews, and numerous award-winning books, videos and audio programs. He is also co-author of the international bestselling book, Dealing with People You Can't Stand: How to Bring Out the Best in People at Their Worst, which has been translated into 25 languages.